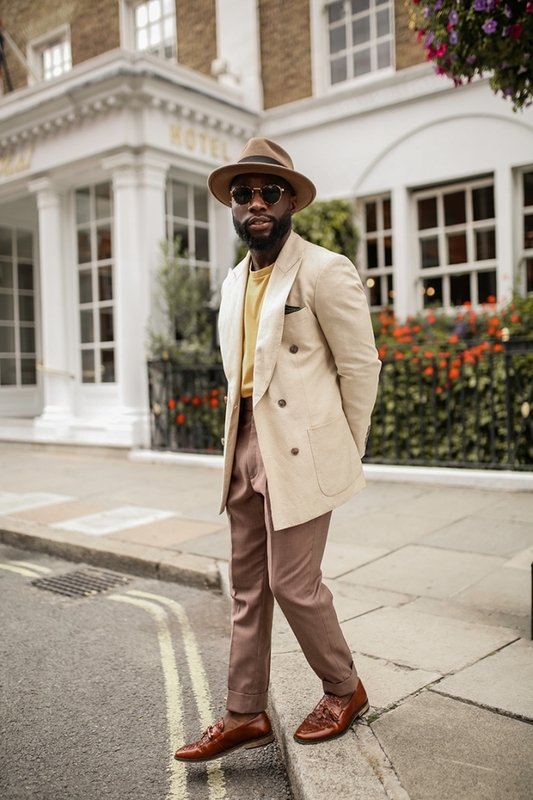 In the past, I have shied away from this outfit setup as I was never comfortable and relaxed with a t-shirt under a blazer, unlike with shirts. 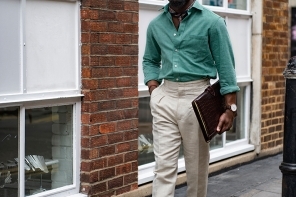 However, I have come to realise it just takes some getting use to but most importantly, the type of t-shirt you choose and the outfit’s tailoring is highly crucial to nailing this look. 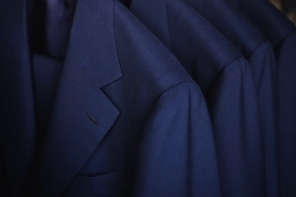 When choosing the ideal t-shirt, you should ensure it is one that follows the same fit, colour and design principles you’ll adhere to when commissioning your custom tailored garment. 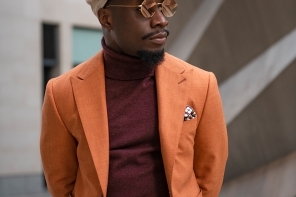 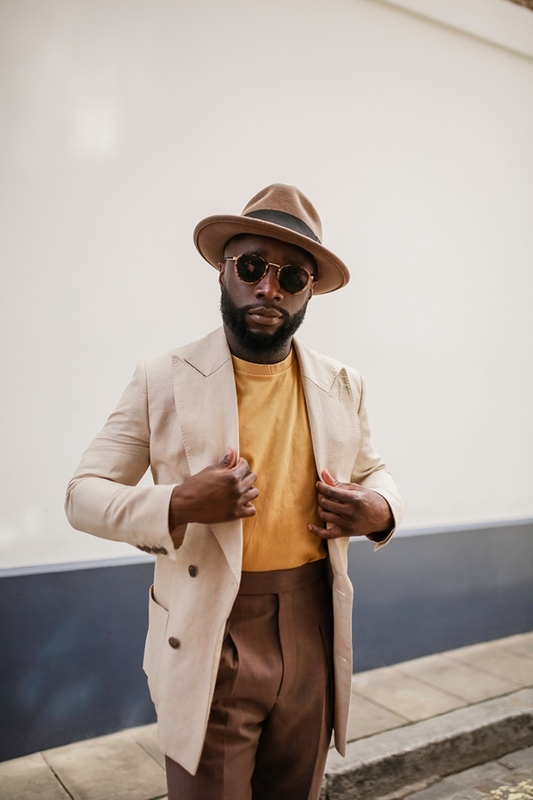 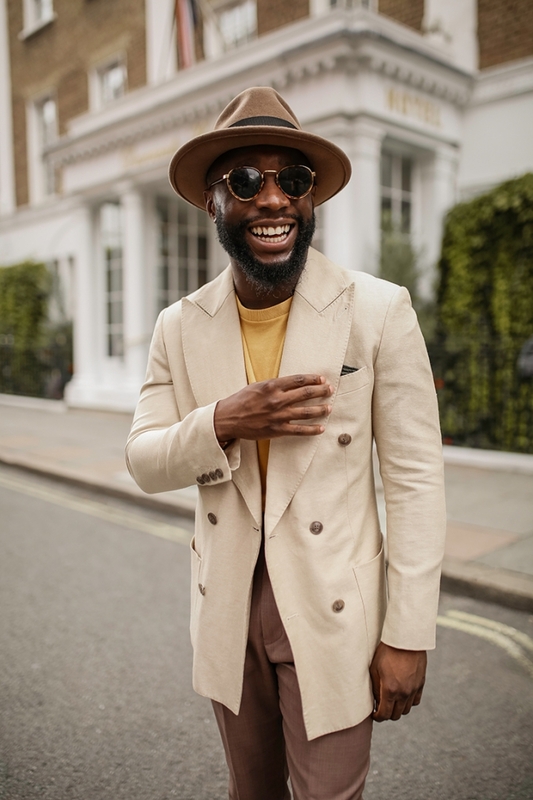 With that in mind, a tailored fit as opposed to a body-form fit or highly loose fit should always be preferred; colours should be within your comfort zone and match that of the overall look; go for something plain or subtly patterned and stick to a crew neck with its neck thickness closely proportionate to the width of the jacket lapels. 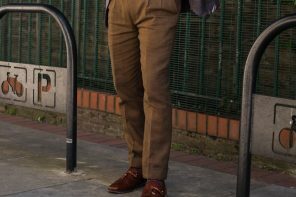 So when is it right to sport such look and what benefits does it have to it? 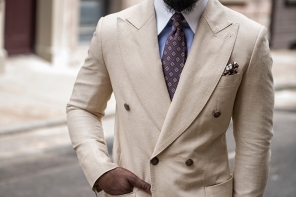 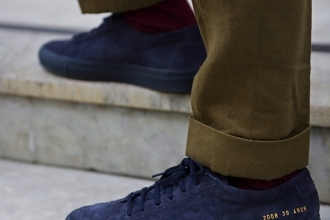 It’s a good choice during warm days, where the dress-code requires an upscale/sharp look for the occasion. 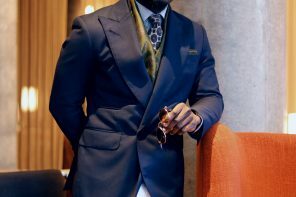 Or for a date, casual drinks or a relaxed appearance at a chic outing. 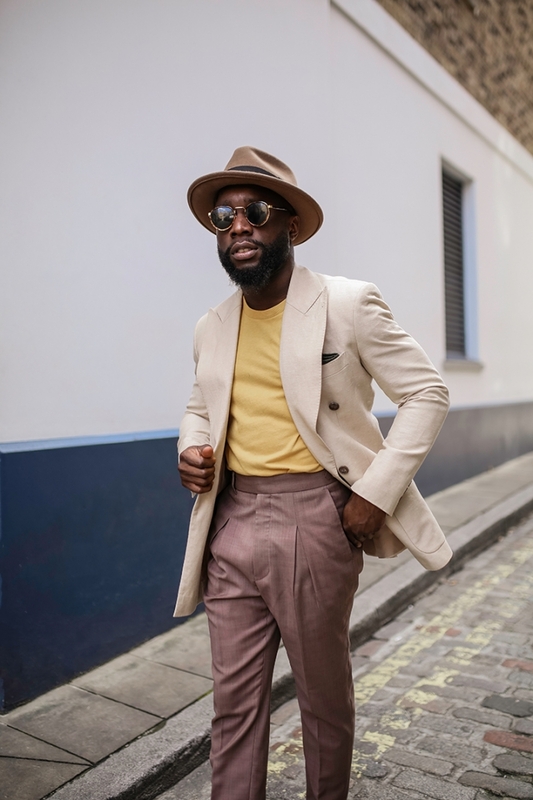 With regards to its benefits, just like the short sleeve shirts, it removes a layer of fabric on the arm which gives it an easy and more relaxed feel. 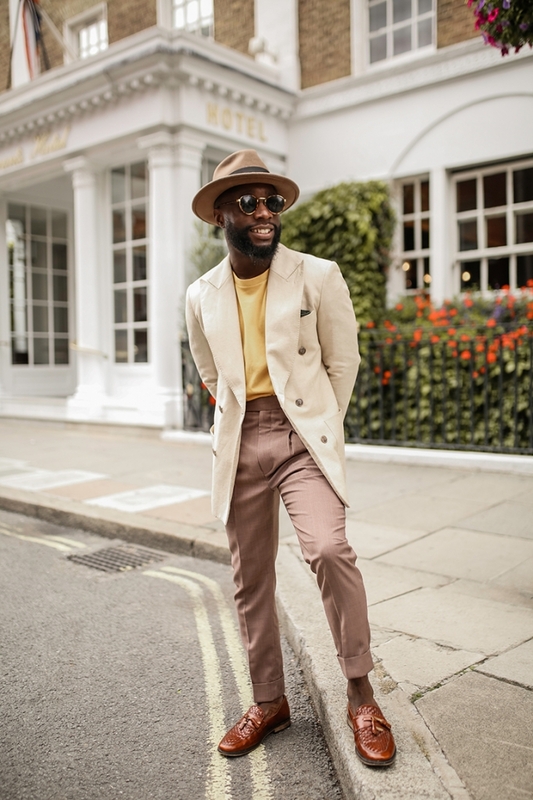 I’ve opted for my Marquess London ModCon Line Silk/Linen Double Breasted Blazer; Mustard Yellow T-Shirt; Marquess London Swank Line Terracotta Pink high-waisted trousers.